There is genuine interest in all areas of water-based activities and the fitness it can bring, confirms David Minton, Director of Leisuredb on the publication of its 2018 State of the UK Swimming Industry Report. Operators constantly report growth in swimming numbers, lessons and the usage of outdoor pools. The latter is particularly due to the continued growth and popularity in triathlons and open-water swimming. We also have more young people throwing themselves into diving than ever before, thanks to Tom Daley and other role models who give their time back to their sport. Swimming also gets the Royal support. Prince William, Duke of Cambridge, said on The Royal Channel: “Swimming is unique, it is the only sport that can save lives.” As a father, keen swimmer and former water polo player (he represented Scottish Universities), he understands the need to champion teaching swimming. If history tells us that we learn nothing from history, then demand for swimming lessons remains seemingly insatiable and waiting lists will remain common around the country. The swimming school, Water Babies, is preparing to make a splash on the UK stock market after appointing advisors to organise a listing so they can accelerate their global expansion. This Devon-based company already has franchises in Germany, Canada and New Zealand and welcomes over 47,000 toddlers at around 560 pools each week. Triathlons and open-water swimming have spurred good growth in recent years, with swimmers needing to improve technique so they can swim faster, stronger and more efficiently. If you’re participating you’ll want to improve your performance and to do that, you’ll need help to pace yourself. The health benefits of swimming for the older market through hydrotherapy, have also been given an extra boost following various NHS promotions.Although charges continue to rise for clubs, individuals and companies who use pool space, demand continues to grow. The average public pay and play swim fee has increased from £3.25 in 2010 to £4.38 in 2018. This increase has been consistent, due to the strength of demand on a smaller number of pools. The decline in swimming pool stock continues this year with 33 swim sites closing in the past year compared to 22 opening. Although the new pools keep improving the quality of swimming stock for the consumer, the numbers are failing to keep up with demand. 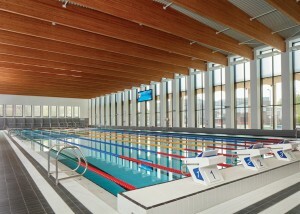 The opening of the new 50m pool at Birmingham University, part of the new £50m sports campus, is a good example. Its summer intensive lessons and topical Drowning Prevention Week are full, along with the student swim sessions each weekday that are held between 12 noon and 2pm, for £5 a session. Opened in May 2017, Birmingham’s first 50m pool is part of the University of Birmingham’s new £55million Sport & Fitness club. Ten years in planning, and located on the Edgbaston campus, a moveable boom and floor offers maximum flexibility as the pool can run either as two 25m areas offering varying depths between 0.9m and 2.0m. More than 1,000 children take part in swimming lessons each week during term time at the venue that also offers a range of swimming activities for both juniors and adults, from ntensive swimming courses, to lifeguarding, to aqua natal classes. The venue is also likely to play an important role in the 2022 Commonwealth Games. The popularity of lessons and swim clubs, alongside the lack of new facilities, all ensure the carrying capacity of the current number of pools is becoming more and more insufficient to meet all the demands upon it. So, the juggling of timetables must continue unless the swimming industry invests in its future. Nuffield and GLL remain the UK’s leading private and public swimming operators (by number of sites). Public leisure trust GLL lead the way with 142 swimming centres, followed by Nuffield who have 110 clubs with a swimming pool. 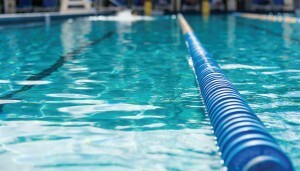 Over the twelve-month period to the end of March 2018, the swimming industry has seen fewer new pool facilities built than across the previous year, but there have also been fewer closures. The 2018 report highlights that 84% of the UK population live within 2 miles of one of the 3,161 swimming pool sites. Although the 22 new swim sites built over the last 12 months will improve the quality of swimming stock for the consumer, the numbers are failing to keep up with demand. The State of the UK Swimming Industry Report is compiled from the most comprehensive review of the UK swimming industry, involving individual contact with all sites. The reporting period is the 12 months to 31st March 2018.